Teaching before a break or vacation is always difficult. We have came up with some strategies and activities on how to engage students before a vacation. We hope that you will be able to use some or all of the ideas! This activity could be as short as five to ten minutes, or you could turn it into thirty minutes or longer by adding some cool stationery for them to write on, or giving them to draw and color a picture about their break. You could also play some music in the background. We like to use some stations on Pandora such as: Classical Goes Pop, Yoga Sanctuary, or the Piano Guys. Before leaving for break, it is a good idea to have students reflect on how the school year has gone up to this point. We have created a FREE sheet that you could pass out to your students before the class meeting. It includes self-reflection questions, working in group questions, and whole class questions as well. -How would you rate your overall behavior this year? -How well have you worked in groups so far this year? -How well have you participated in class discussions this year? -How well have you treated other classmates this year? -Overall, how hard have you tried to reach a goal this year? -What is one thing you know you are doing well in school and how do you know? -What is one area that you want to improve in school and why? -What can your teacher do to help you be the best you can be for the rest of the year? -or any other option that you see fit for your classroom. This activity is a great way to see where your students think they are in terms of behavior and goal achievement. If you are doing an activity in reading, writing, math, science or social studies, instead of a customary worksheet or routine activity that you usually use why not try adding choice to liven things up? In reading class, if students have just finished a guided reading book, allow them to choose their understanding of the book through choice. They could write how the story would be different from another character's point of view. 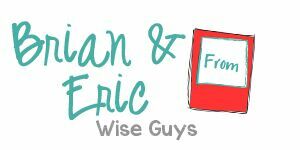 They could make a book review news show where they get up in front of the class and try to "sell" the book. Students could make a game board that relates to the story and create questions that need to be answered. The possibilities are endless. If you are on a specific math concept and students have finished learning about it, allow them to show you what they know. They could: create a poster/diagram of the concept learned, teach it to the class/small group in their own way, make up problems and solve them on their own, create a PowerPoint/Google Slides/Prezi on the concept. Whatever you decide, allowing choice may be a great motivator for students heading into a break. We have created 25 student engagement task cards. 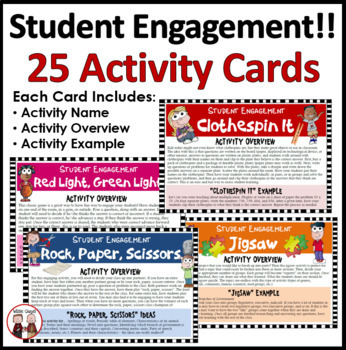 Each card includes an activity overview and examples of how to use the activity in your classroom. Some examples are: jigsaw, paper basketball, knowledge parade, penny for your thoughts and so much more. You can find them by clicking here. Another resource is our winter engagement activities. 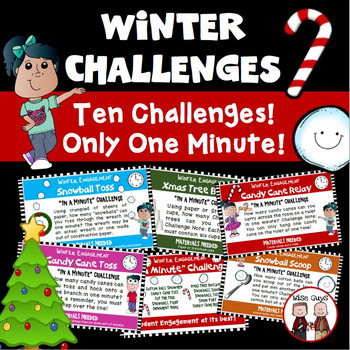 This resource includes 10 engaging activities that come with specific directions and materials needed: Cotton Ball Snowmen, Candy Cane Toss, Cut the Tree, Snowball Fight, Ornament Hang, Christmas Tree Building, Snowball Scoop, Snowball Toss, Snow Fort, and Candy Cane Relay. Your students will love it. Click here to find out more! Just remember, kids are going to be naturally excited before a break. Make the most of it by including some or all of the ideas and activities mentioned above to make it a smoother transition into break!